At SPDT 4 LIFE, it is important to us that our patients are as happy and relaxed as possible at all times. We endeavor to make their stay with us enjoyable and take care to make the environment not feel too much like a hospital. One of the ways we do this is to have regular events, or parties to celebrate special occasions, such as birthdays, or traditional Chinese or Western holidays. 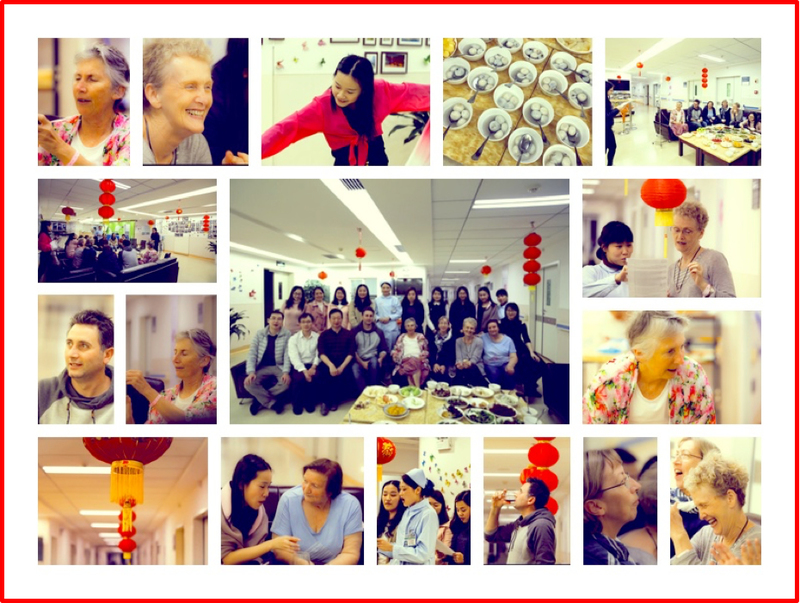 Earlier this week we celebrated one such Chinese Holiday – The Lantern Festival. We had our party a couple of days earlier this year, as one of our beloved interpreters – Sammy Yip – was leaving to go on a holiday to Australia (and it was her birthday), so we wanted to celebrate her birthday and the Lantern Festival with her before she left. Sammy will be staying with and visiting many of the Australian families of patients that she has met working for us at SPDT 4 LIFE. Our staff form very strong bonds with our patients and it is often remarked by many families that they consider our staff “family”. Sammy’s trip to Australia to catch up with her “Australian families” is testament to the great love and respect that is shared by our team and our cherished patients and their families and friends. The Lantern Festival or the Spring Lantern Festival is a Chinese festival celebrated on the fifteenth day of the first month in the lunisolar Chinese calendar. 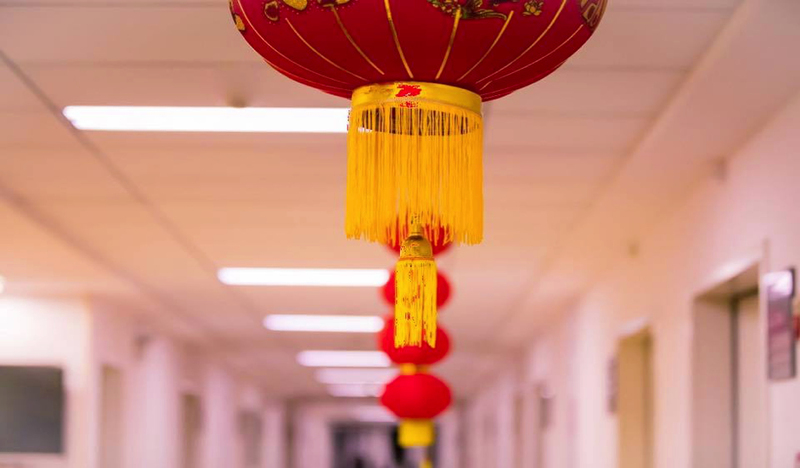 It marks the final day of the traditional Chinese New Year celebrations, and usually falls on some day in February or March in the Gregorian calendar. carrying paper lanterns and solve riddles on the lanterns. In the early days, young people were chaperoned in the streets in hopes of finding love. Matchmakers acted busily in hopes of pairing couples. The brightest lanterns were symbolic of good luck and hope. As time has passed, the festival no longer has such implications in most of China, but it is still commercialised as the Chinese equivalent of Valentine’s Day in Malaysia, Hong Kong, and Taiwan. SPDT 4 LIFE has often been described as a ‘haven’ by many of our patients and carers. One reason being, when they come here, everything possible – medically speaking – is promptly done for them in-house. No more running around to appointments and wasting time in waiting rooms. Here our VIP service ensures that blood tests, scans and treatments are done as a priority – as if you were the most important person in the world. And to us you are. The highest-quality service given by all of our staff is another contributing factor – in particular the incredibly kind, friendly and caring nature of the whole team. It puts the patients at ease and makes them feel comfortable which is important to their treatment. In no small part this reputation is due to the outstanding work of our team of nurses. We are proud to be able to boast such a highly regarded team – particularly since it bucks the trend for hospitals in large cities in China like Guangzhou. It also gives the Australian system a run for its money. Historically, our patients have told us they much prefer being treated at SPDT 4 LIFE, than in the hospitals back home. According to research conducted by International Health Organisations, China is a country with a relatively high incidence of doctor-patient conflicts. This has been attributed to the imbalance of medical resource allocation, causing an “overload” to local medical businesses – particularly in some first-tier, highly-populated cities like Beijing, Shanghai, Guangzhou and Shenzhen. The SPDT 4 LIFE team of nurses has been nursing for many years and have a great deal of experience working in Chinese hospitals. During this time they have maintained a flawless record – achieving a coveted “Zero Conflicts ” rating. Impressively this ranking was achieved in fields that are rarely seen in Chinese hospitals, like “case nursing” and ”high-care nursing”. 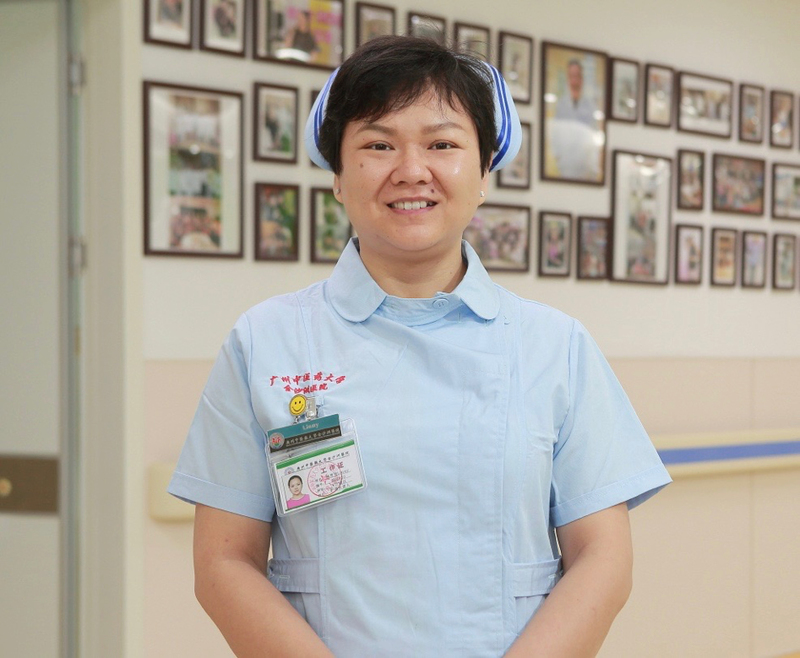 Lin Fangfang, a senior nurse with 12-years experience in clinical nursing, is the head nurse in charge of our team. ”My team’s philosophy is very simple – to progress, we must unite, be caring and responsible. I want my team to offer the best possible service to the patients”, she says. Lin Fangfang hosts weekly meetings where the team’s focus is to learn, to summarise and to improve on what they ‘ve found during their duties every week. She is committed to constantly improving the level of service. “I prefer to arrange my team according to the character of each individual nurse. Like, some of them are more rigorous, so they would be sent to take charge of quality control. Some are more careful, so they are more suited to communicating with patients. Some are more enthusiastic about medical study, so they would be the best suited in a training role.” Under Lin’s management style every nurse’s unique strengths and qualities are on full display and able to shine at SPDT 4 LIFE. This extra level of kindness and consideration for patients, combined with the highest level of nursing skills demanded by the doctors and management ensures a quality service that is second to none. The nursing team is also an important link between patients and doctors and this is instilled in the nurses during their study and training. Lin says, “The most important part of our job, is to ensure every treatment prescribed by the doctors is implemented exactly as instructed, to the highest possible standards. There is no room for error, we must be focused and conscientious at all times. We must employ all our professional skills and knowledge – as we are responsible for our own actions and most importantly the safety of our precious patients.” Here, every medical carer, must go through strict training, no mistakes are allowed. It is this attitude and the strong principles nurtured at SPDT 4 LIFE that has earned this skillful nurse service the impressive reputation they have – one that is fully recognised by their industry peers. This ethos of highest-quality care has also won the nurses the respect, admiration and friendship of the majority of patients. Some patients still maintain very good relationships with the staff after they have been discharged and returned home. Years later, patients still keep in close contact with the nurses and exchange best wishes. Testament no doubt to the great level of care and kindness they are famous for.